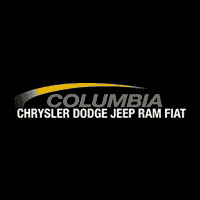 Columbia Chrysler Dodge Jeep Ram would like to announce the 2018-2019 Strive to Drive Vehicle chosen by Maury County’s High School Seniors. The 2018 Jeep Compass is the WINNER by a 60.8% vote! What is Strive to Drive? Strive to Drive is a Maury County academic initiative which encourages good grades and attendance for their high school seniors. 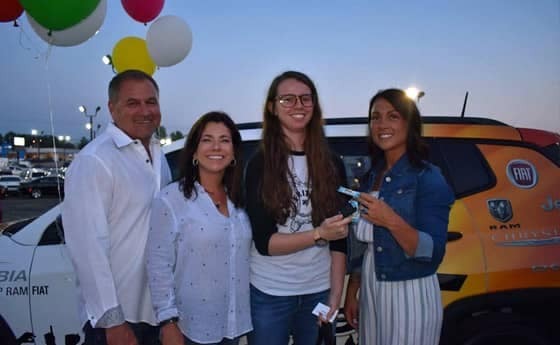 This annual event, sponsored by Columbia Chrysler Dodge Jeep Ram, awards a FREE car to one Maury County senior high school student with all fees paid PLUS insurance for one year! Students are automatically entered in the drawing just for obtaining As and Bs or perfect attendance on any nine-week report card or record of perfect attendance, as identified by the school board policy! Plus there are several other prizes given away in addition to the GRAND PRIZE! You must attend to claim your prize. If the senior’s name is called and is not in attendance, we move to the next name! Don’t miss this huge event! Criteria for Strive to Drive 2018-2019 School Year! Qualified seniors (must have enough credits to be classified as a senior) will receive entries into the drawing at the end of each 9 week grading period provided they meet at least one of the following criteria. If a student meets both criteria, their name will be entered into the drawing twice for that 9 week grading period. Students also have 2 more opportunities by filling out their TN Promise and FAFSA. Students may receive a maximum of 10 entries during the 2018-2019 school year. • Receive all A’s and B’s on the 9-week report card. • Have perfect attendance, as identified by board policy, at the end of the 9 week grading period. Strive to Drive had an outstanding outcome this year! We had triple the amount of entries into our barrel compared to the 2015-2016 School Year. Maury County High School Seniors were given more opportunities to qualify this year. Criteria has been A/B Honor Roll and/or Perfect Attendance each nine-week grading period. We also added two more ways to qualify into the drawing, it was to fill out a TN Promise Application and/or FAFSA. That is where it became a total of 10 entries each High School Senior could end up with. 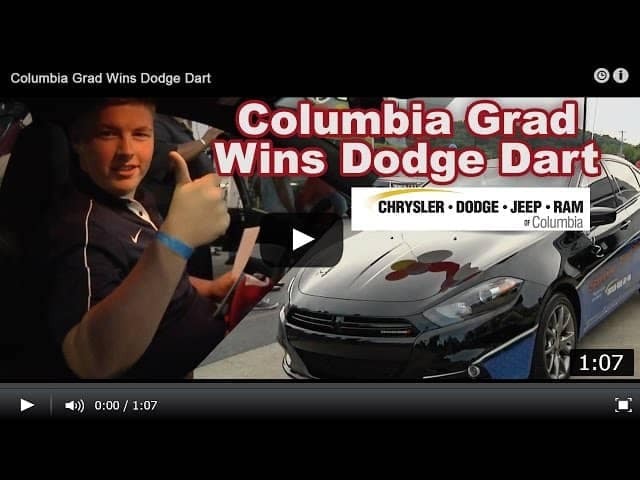 Not only did we give away a 2016 Dodge Dart with 6 Months insurance, we also gave away $2,000.00 to a Maury County School Employee. There was a link that students logged on to, nominated an employee, and wrote an essay on how that employee made a difference in their school year. The essay was selected by our Owner and the Superintendent of Maury County Schools and that employee received the $2,000.00! 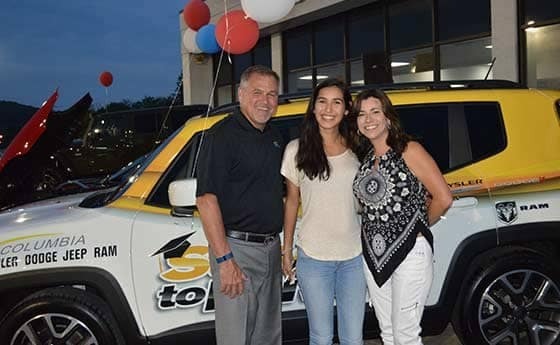 We are happy to announce the winner of this year’s grand prize was Alejandra Conyers of Columbia Central High School! Alejandra was picked from a pool of over 1800 names in the barrel, many of which were students that had qualified during multiple semesters. A student’s name is entered into the barrel for each semester that they qualify. About 500 students qualified in total. About 300 people attended the May 27th event. Kids were lining up at 5:45 pm anxious and ready to hear the names of the over 32 winners. We anticipate next year to be even bigger and look forward to your support and continuing contribution! 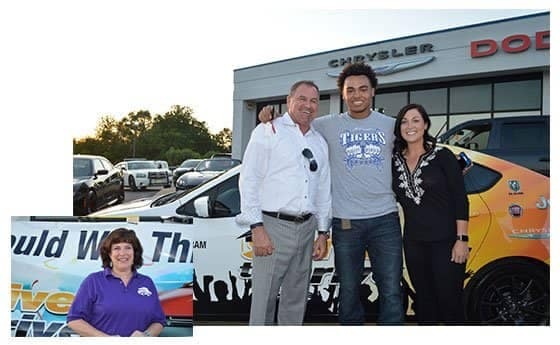 Last year, Zach Taylor was the lucky high school grad who snagged the grand prize! A FREE 2015 Dodge Dart 100% paid even had insurance paid for a YEAR! Taylor’s good grades really paid off, as he claimed victory over 300 other entrants. However, not all of the entrants showed up to the drawing. Zach was lucky, because the first handful of winners were not in attendance, therefore, they could not claim their prize. Zach called the car, “A gift from God.” The only thing Zach had to agree to, was to keep the car wrap on the car for 90 days! Plus, over $10,000 in other prizes were also given out to hard working graduates. Even American Idol Top 12 finalist Sarina-Joi Crowe from Columbia, was part of the entertainment. Overall, the event was a huge success!